Famous and successful tech entrepreneurs often seem to pride themselves on staying out of the fray of tech news and blogs. They don’t like to admit to taking time out of their busy lives to tune in for all the daily excitement (such as it is). 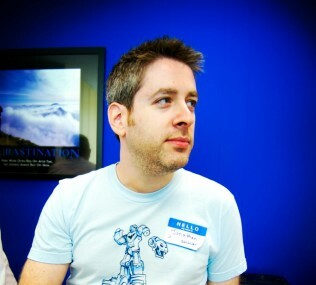 Not Friendster founder Jonathan Abrams. This week he beta-launched his own tech news aggregator, Nuzzel. 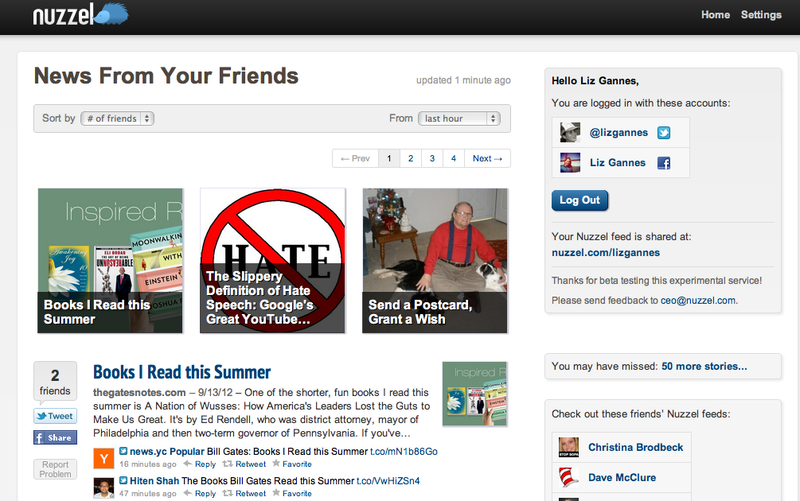 Nuzzel is a purely social news aggregator. There’s no machine learning, no topics, and no set-up process beyond connecting Facebook and Twitter. The site, which Abrams built entirely himself, has a surprising quotient of customization and polish. He said he is launching in order to get users, raise money and hire people to do things like build mobile app versions. Users can also look at other people’s Nuzzel feeds from their point of view or get a news summary for a particular day that’s already passed. And there’s a nifty option to view content that you may have missed because it was not posted by any of your friends, but it was posted by your friends’ friends that you do not follow. In the past two years of helping run the start-up coworking space Founders Den, Abrams has become a meticulous student of tech news — both the substance and the form. He shares links to 10 or more news stories on any given day on Twitter and Facebook, and while coding Nuzzel he personally worked through the kinks of links from various publishing platforms. In the weeks leading up to Nuzzel’s launch, Abrams emailed me all sorts of tiny questions about things like why AllThingsD had changed the permalink on a particular story. Yes, there are already a lot of perfectly good tech news aggregators. Abrams doesn’t disagree, and he incorporated some of his own favorites like TechMeme, Reddit and Hacker News into Nuzzel. So, for instance, a story that has been featured on Hacker News that turns up on Nuzzel will automatically display a link to the relevant Hacker News comment section, since those tend to be pretty rich and active. Abrams — who also owns Nuzzle.com, but prefers the more distinctive spelling — told me that social bookmarking is an idea he’s had on his mind for years. In fact before Friendster, his first company was the bookmark-sharing tool HotLinks back in 1998. It was “too early and too nerdy,” he says now.